A while back, I wrote about a simple fly fishing setup for backpacking. As fly fishers, we have an intrinsic advantage when it comes fishing on overnight and multi-day backpacking trips. Unlike other styles of fishing, we aren’t condemned to carrying heavy, bulky tackle like spinning reels, weighted lures, etc. However, fly fishers also tend to be gear addicts and it’s easy to convince ourselves that we have to have every fly and gadget in the book in order to be prepared for every contingency. I once knew a fisherman that carried every fly pattern he owned all year round (even flies that wouldn’t be hatching for another 2 months). This might not be such a big deal when your just out for the day, but when you’re on the trail, weight and bulk are more critical since you have to carry everything on your back. Here are 5 things you can do to lighten up your backcountry fly fishing gear, and still catch fish! (Not literally). I’m still surprised by how many backpackers I see with aluminum or PVC rod tubes strapped to their packs. Of course, people want to protect their investment but to me, these tubes are unnecessarily heavy and overkill. For years, I carried my rod and reel in the side pocket of my pack and have never damaged one (even while bushwhacking). If you cinch it up with a compression strap, it’s probably close enough to the side of the pack to be protected from potential snags. If you aren’t willing to go that minimalist, there are lighter alternatives. For example, you could just bring the rod sack (that should fend off any rogue branches). Some people suggest making an ultra light rod tube from clear, plastic tubes that are used to protect fluorescent light bulbs. While I still think it’s unnecessary, it’s a probably lot lighter than bringing the tube your rod came with. 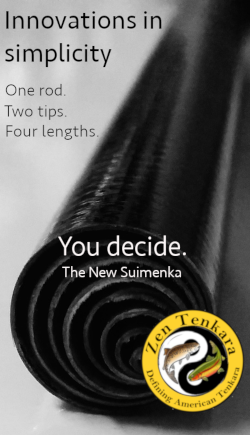 One of the advantages of Tenkara USA rods is that they eliminate the need for a rod tube altogether. When collapsed, the rod becomes its own tube so not only do you save the weight of a reel and a tube, but you increase the number of multipurpose items in your pack (which as we all know is one of the best ways to reduce pack weight). While vests are nice on day trips, they can take up a lot of room in your pack that could be put to better use. Your pack space is limited so it’s important to find alternatives to your normal gear that will pack well. Instead of a vest, consider something like a front pack, small neck pouch or even a lanyard. But what about all the stuff you normally carry in your vest? Well, some of that has to go too. 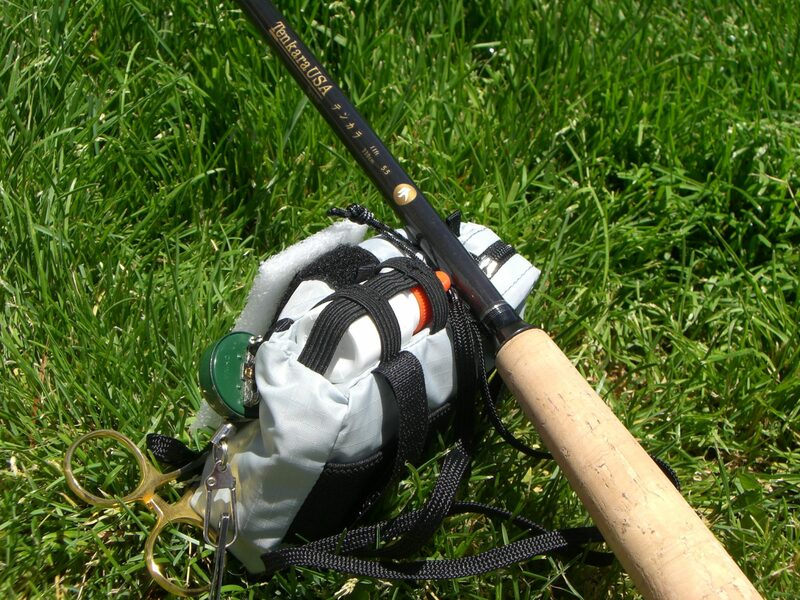 The next few tips are related to reducing the overall amount of fly fishing gear you carry. Remember the angler I mentioned at the beginning that carried all of his flies all of the time? He is carrying a fly shop in his vest. The funny thing is that he usually only fished 2 or 3 of his “go to” patterns on any given day. When you’re backpacking, you don’t want to carry 8 fly boxes (and you don’t need to either). Fly boxes are not only bulky, but the weight adds up fast. Instead, consider carrying one small fly box with your “go-to” patterns. Pick attractor patterns that cover a wide range of species. 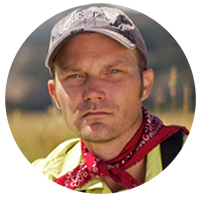 Things like Elk Hair Caddis, Stimulators, and the Adams cover a pretty broad range of insects. I’ve gone days where I only fished an Elk Hair Caddis. For nymphs, some simple Bead Head Caddis and Hare’s Ear Nymphs might be all you need. Whatever you decide to take, make sure they are all patterns you have confidence in. If you fish a fly you believe in, your presentation will likely be better and often, presentation matters more than imitation. Earlier, I said that fly anglers tend to be gadget hounds and I’m no exception. There certainly are a lot of cool gadgets out there to give any angler gear fever. But are they really necessary? If you follow the multipurpose credo, you can simplify the number of tools you bring to 1 or 2. For the ultimate minimalist approach, a pair of hemostats that has scissors built in will suffice (use the scissors instead of nippers). If your knot-tying skills are good enough, then this could be all you need. If you don’t want to go that Spartan, there are plenty of multi-tools out there that should fit the bill. Look for ones that combine nippers, knot-tying tools, eye cleaners, etc. then pair it with hemostats. And about hemostats, you don’t need the standard 5” ones. The shorter 3.5” work just as well. Waders and wading boots can add pounds to your pack. Where possible, try wet wading instead. You could either bring a pair of hiking sandals or just use your hiking shoes and wear waterproof socks. For the latter, it helps if you have a good way to dry your shoes out (sunny weather or a campfire). Where I fish most of the time, wading is not even necessary so I just patrol the banks. If the streams you’re fishing are small enough, you might not need waders either. While not all of these tips might be practical for the places you fish, if you can work 2 or 3 of them into your backcountry system, you could save ounces or even pounds. What weight saving or bulk reducing tips have you discovered? Nice little pack in the top photo. Did you make that yourself? I’ve kept up with your videos for a while now, thanks. I do a good bit of fishing mountain streams in the Southern Appalachians while on backpacking trips. I think you are correct, it is easy to bring too much stuff (just in case) on backpacking trips. I started leaving the net & vest at home long ago, I now carry a very small soft case, my rod, extra tippet/leader, hemostats, fly coat, and a very small knife. I use the detachable lid of my backpack to carry stuff for the hike from my camp to the many streams. At first I felt a little insecure leaving so much behind, but now I find I truly have all I need. 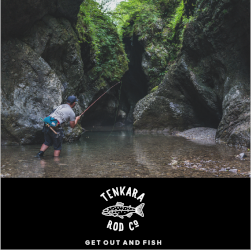 I’m interested in the Tenkara rods and I hope to get one before fall, thanks again for the videos and such. Mike, wait until you see what I have coming out in the next couple of weeks. I think you’ll find it pretty interesting. I am so glad I found this site. I often go on long backcountry trips but I am always bringing food with me. I have been wanting to do some fishing while I am out there and I think this site is going to help me start. Thanks for this site as I am sure I will be spending a lot of time here taking it all in. These are great tips to reduce the weight of your fly fishing pack. Were you say “Ditch your tube” I found an alternative to the aluminum tube. 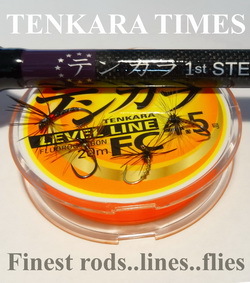 I use a clear polycarbonate shipping tube, there’r cheep very light weight and give plenty of protection to my new Tenkara rod. I did have some difficulty locating them, most suppliers expect you to buy a large quantity 50 to 100 at a time, I talked some one to give me some samples. maybe you can offer them on you site they work out to about 1 to 2 dollars a tube. I have a few extra, I can send you a couple if you like. just forward your address to my email. Thanks, do you have a picture of them you could email me? I like the advice you give here. I think this will help any angler, not just backpackers. What an excellent advice. Great work Buddy. You just gave the beginners the idea of a successful and convenient fishing adventure. Keep it up. I don’t know a lot about fishing but i will surely recommend this read to my guy friends. I am sure this blog will give them ideas on their fishing activity. am after a 16″ collapsed rod for my backpack… max length without modifying my kit. would have bought a hane, if available, even though considered stiff. tonight I found one in carbon fiber on ebay at 56 cm collapsed = 16″. 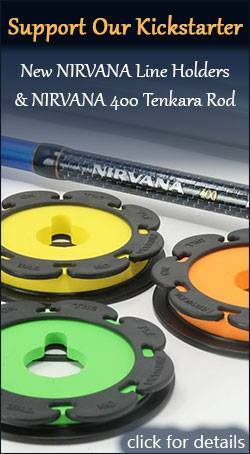 NANO Tenkara Rod 3.6m, 7 sections Rod, MAXCATCH. do you know anything about it. If any good it will sell a ton at that collapsed length. Cannot find any reviews on it. Hi Bob, I saw it. 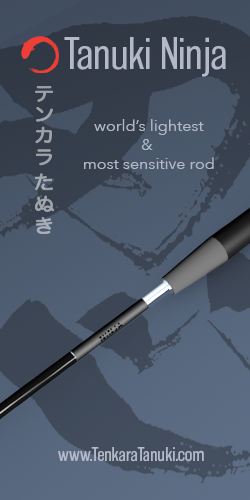 Looks OK. Another “me too” rod so nothing extraordinary but it will work fine and if collapsed length is your main concern, then it’s probably a good choice.